A software component model should define what components are, and how they can be composed. That is, it should define a theory of components and their composition. Current software component models tend to use objects or port-connector type architectural units as components, with method calls and port-to-port connections as composition mechanisms. 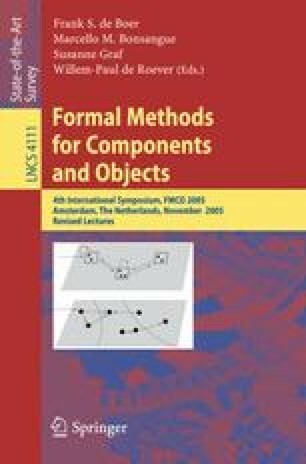 However, these models do not provide a proper composition theory, in particular for key underlying concepts such as encapsulation and compositionality. In this paper, we outline our notion of these concepts, and give a preliminary formalisation of a software component model that embodies these concepts.